Added on August 19, 2018 by Jacquelyn Gleisner. Below are some installation photos of my current exhibition Splice at the Constance Lavino Bell Gallery at the Ethel Walker School. 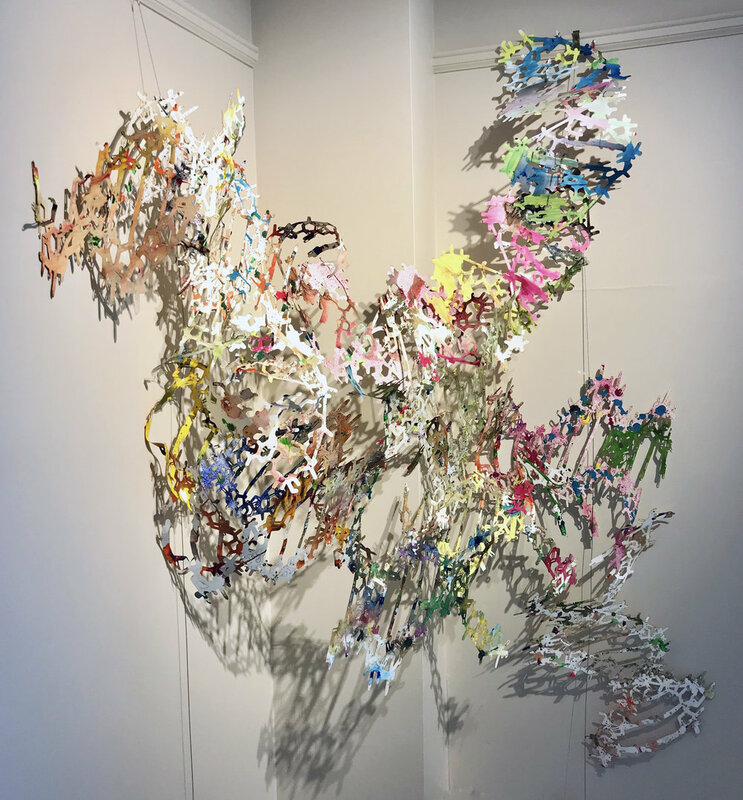 This show includes two related installations and several works on paper that repeat the double helix form. Together the works create a bridge between genetic engineering, textile traditions, and abstract art. Spreading across a corner, the installation appears viral and organic. Upon closer inspection, a viewer can see that the paper forms have been delicately woven together, mimicking the intricate perforations of lace. Textiles, like DNA, are often rooted in patterns. The connection between the two elements shows that our desires to see and create patterns originates in our genetic makeup. The show is on view through November and there will be a public reception at the end of September.